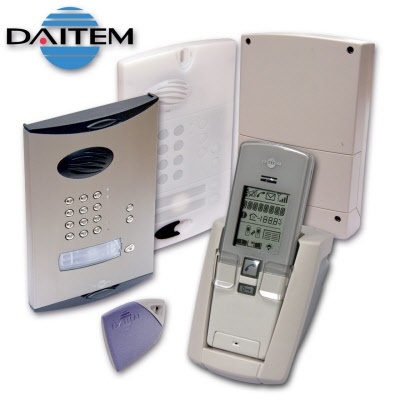 The Daitem wireless remote entry control system can be used to welcome and filter visitors. 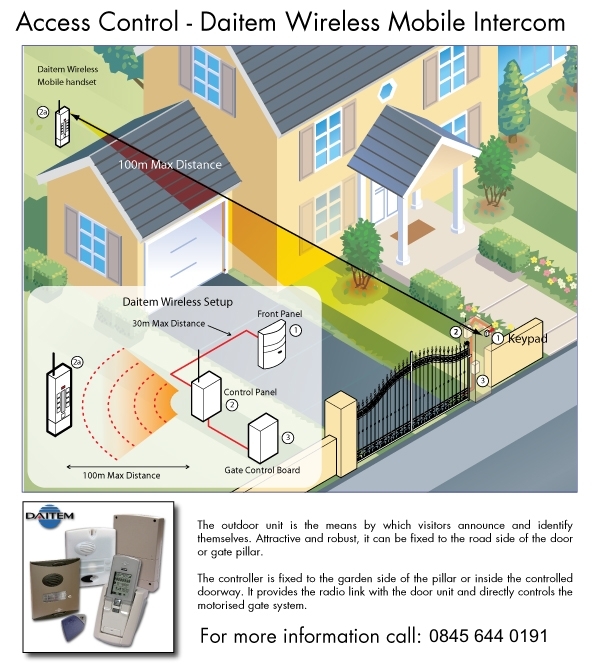 Using the Daitem system, remotely opening one or several entrances (pedestrian gate, driveway gate and garage door), and activating external lighting to facilitate access to users’ homes could not be simpler. The portable indoor handset is wireless allowing users to move around freely. This has the added feature of a keypad codelock entry system. Sited by the front door or gate, this is the outdoor unit by which visitors announce and identify themselves. 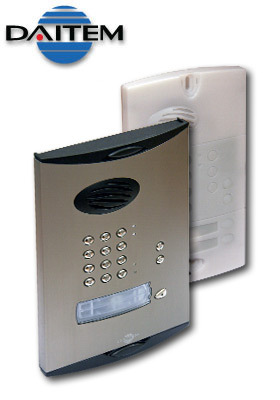 Available with one or two call buttons Comes in white ABS plastic with a ruggedised die cast brushed aluminium anti-vandal cover. Includes proximity Tag reader (Key Fob). Connected to the Caller unit, to which it supplies power and for which it makes radio communications to the cordless handset. 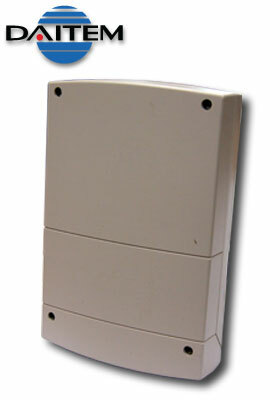 It directly controls & powers a standard 12-volt ac or dc latch or electric lock, plus it has a volt free relay contact to trigger a powered gate or door system.